Ali Mustajab has over 15 years experience in the Real Estate market in Bahrain. 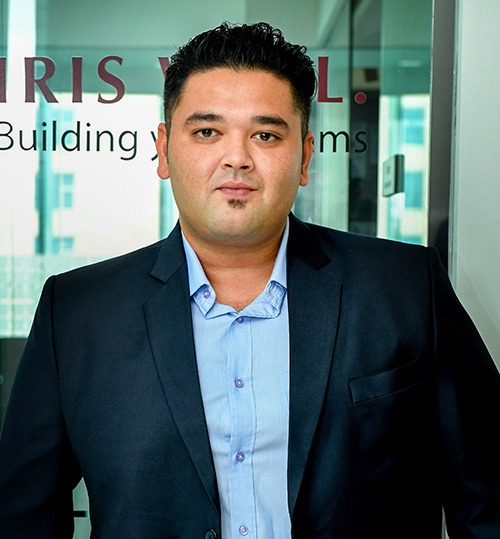 Previously with Landmark & Haji Hassan Group, Ali was headhunted to manage the IRIS team – Making IRIS the success it is today. Gagan Dhir joins us from Qatar, with over 8 years in Property Management. With his technical practice background, he ensures our appointed projects are ran with precision and to the highest quality standards. Saeed Ahmed, Bahraini national has been in the real estate business from last 8 years. Previously Heading Iris Dubai, Saeed has joined us in Bahrain since 2016. His experience and immense team player ability has resulted in expansion of Iris Sales & Leasing Team.